Religious continuity from the Mycenaean to the Geometric period is one of the thorniest issues in Greek archaeology. The problems created by the scantiness of the evidence are compounded by our own methodological pitfalls, especially the ambiguity of the term “continuity.” The Sanctuary of Demeter and Kore at Eleusis is a controversial case of a major Greek sanctuary for which a Mycenaean ancestry has been claimed but seriously debated. 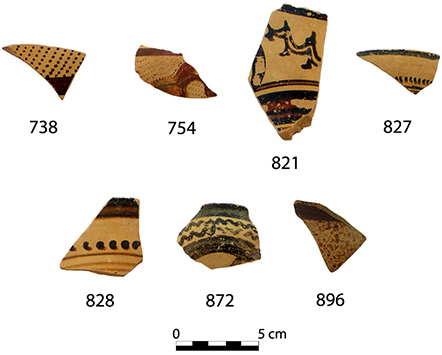 In this article, the architectural, stratigraphic, and ceramic evidence related to the Mycenaean Megaron B is analyzed on the basis of the unpublished finds and excavation notebooks. The analysis shows that religious rituals took place in Megaron B starting in Late Helladic IIB/IIIA1; that although the settlement of Eleusis shrank after the collapse of the Mycenaean palaces, it continued to be inhabited; and that the Megaron B complex was still standing and plausibly in use when the cult of Demeter was introduced in the eighth century B.C.E. It is further argued that this complex functioned as a lieu de mémoire, a landmark that allowed the inhabitants of Eleusis to preserve the memory of the earlier sanctity of the site, and that it became the defining factor for the choice of location for the later cult of Demeter. Despite this preservation of memory, however, the essence of the cult underwent significant changes that speak against continuity of function.